You want to some different touch for your home or your children room? Why don’t try this color chess. Make up your room be colorful and funny with such color, including; yellow, red, orange, pink, or other light colors. Just make sure that the chess pieces has made of Teak wood. Because its durable reason, Teak wood also very safety for any children and adult. This wood always accept any paint colors, light and dark, so you can choose any colors for your chess. If you like other color to suit it with your wall paint at home, you may order it to us. Just tell us what color that you want and we will solve it for you. 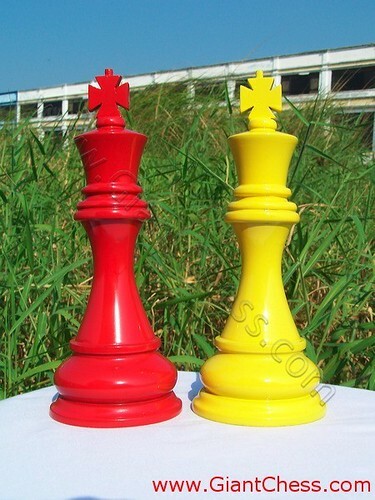 Color chess also perfect for hotel decoration or photos studio. Invite your photo models to express their style with color chess, then you will have an artistic picture. Just try it now! !